THE FIRST BOOK IN A HISTORICAL SERIES THAT'S PERFECT FOR FANS OF THE BOXCAR CHILDREN! Jack, Frances, and Frances’s younger brother Harold have been ripped from the world they knew in New York and sent to Kansas on an orphan train at the turn of the century. As the train chugs closer and closer to its destination, the children begin to hear terrible rumors about the lives that await them. And so they decide to change their fate the only way they know how. . . . They jump off the train. There, in the middle of the woods, they meet a boy who will transform their lives forever. His name is Alexander, and he tells them they've come to a place nobody knows about—especially not adults—and "where all children in need of freedom are accepted." 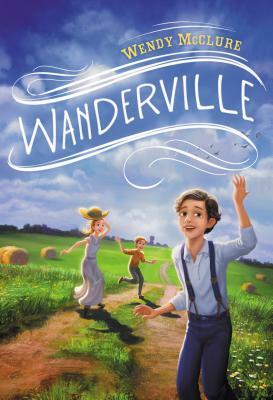 It's a place called Wanderville, Alexander says, and now Jack, Frances, and Harold are its very first citizens. Wendy McClure (WendyMcClure.net) is the author of The Wilder Life: My Adventures in the Lost World of Little House on the Prairie and several other books for adults and children. She is a senior editor at Albert Whitman and Company, where her recent projects include books in the Boxcar Children series. She received an MFA from the Iowa Writer’s Workshop and has been a contributor to the New York Times Magazine and This American Life. She lives in Chicago with her husband.